& from Republic of Ireland / Éire including Wombridge. 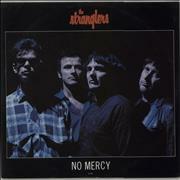 The Stranglers were on board the bandwagon of punk rock movement form the very beginning. Their early songs, too, were performed with the same ugly attitude but with strangely haunting underlying Doors-like keyboards. 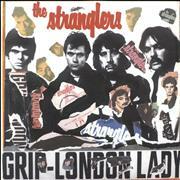 '(Get A) Grip (On Yourself)', the debut single, along with the accompanying album 'Rattus Norvegicus' confirmed the group as one of the fastest developing groups on the entire scene 'No More Heroes' the driving title-track to the Stranglers' second album, was another huge hit, although the album itself was a disappointment. 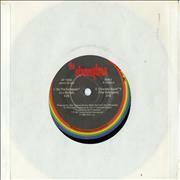 They quickly rectified that with the release of the superb 'Black and White'. 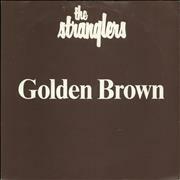 After Hugh Cornwelll returned from his brief spell at Her Majesty's pleasure the band regrouped and issued two albums in quick succession, 'Men in Black', and the ambitious 'La Folie', home of their biggest hit single yet, 'Golden Brown'. 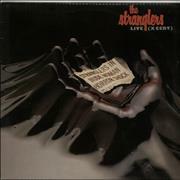 The Stranglers continued to release a mixed bag of albums throughout the 80's and 90's and into the new millennium. That it is the early years that remain their most popular is no surprise. From bad-mannered yobs to purveyors of supreme pop delicacies, the group was responsible for music which may have been ugly and might have been crude but it was never, ever boring. With such a fantastic array of music to choose from, you'll find no shortage of back catalogue rarities, amazing memorabilia and quality collectibles, all available right here in our specialist Stranglers collectors store.